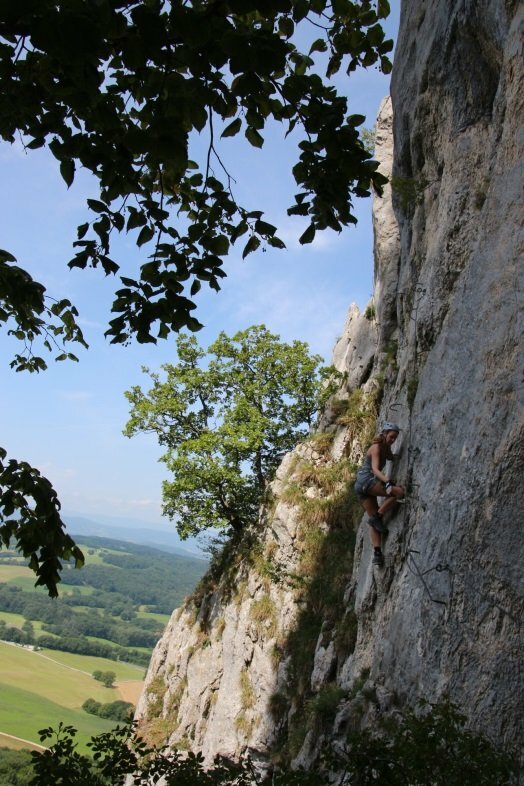 Via ferrata is protected climbing route found in the Alps but now also found in other places. 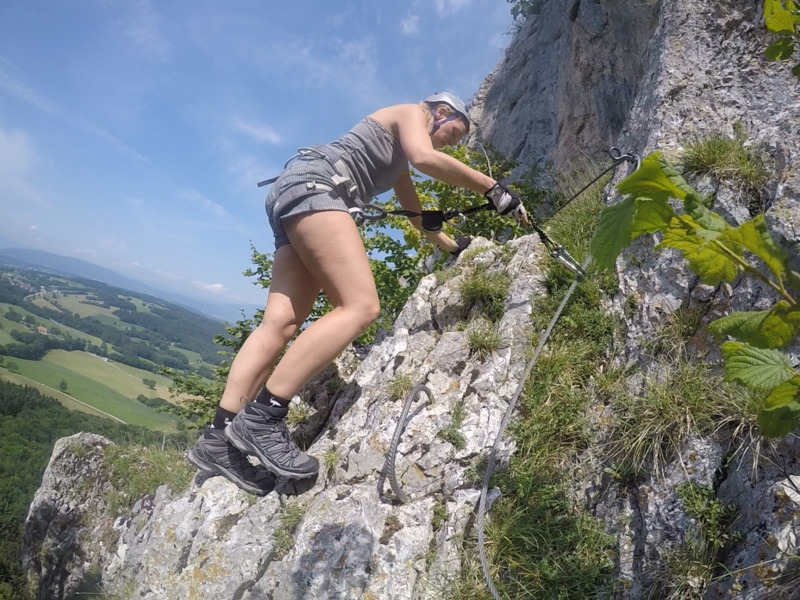 More information about via ferrata you can find in this blog. 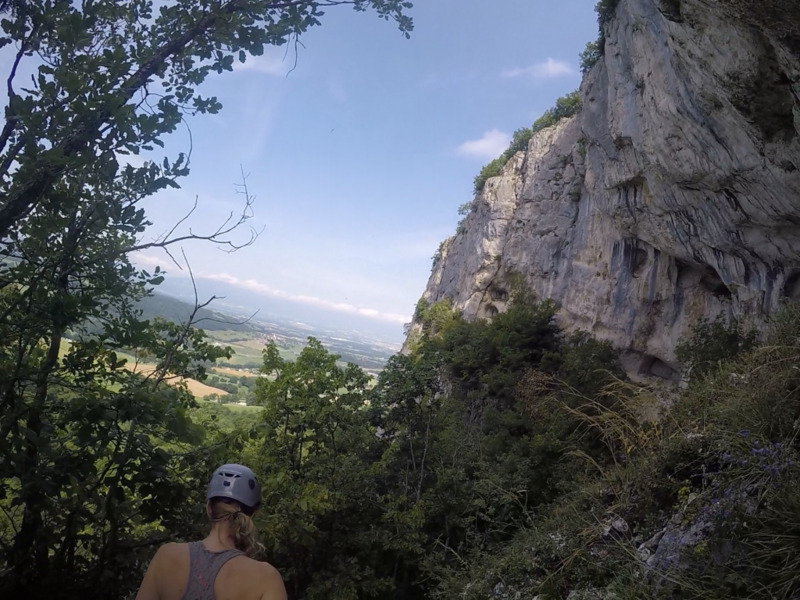 Via ferrata Revaclier is a short but difficult route classified as a D (difficult). You can park the car on an open spot in the forest, from there the route leads to the starting point of the via ferrata. 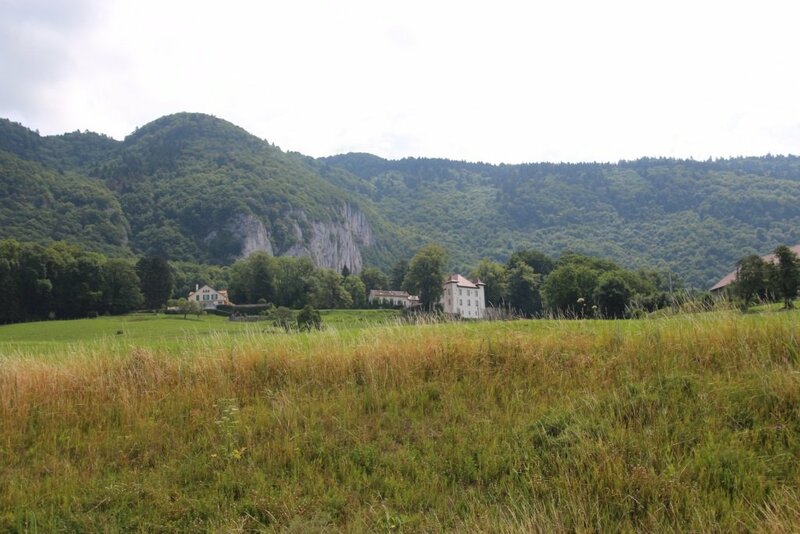 We did this tour when we were on our way from Rhone Alps to Geneva. As this route is really short, it is a perfect stop along the way. It was really quiet when we started the route. No other people and we enjoyed the 20 minutes hike up in the forest. The starting point of the via ferrata is 950 meters. 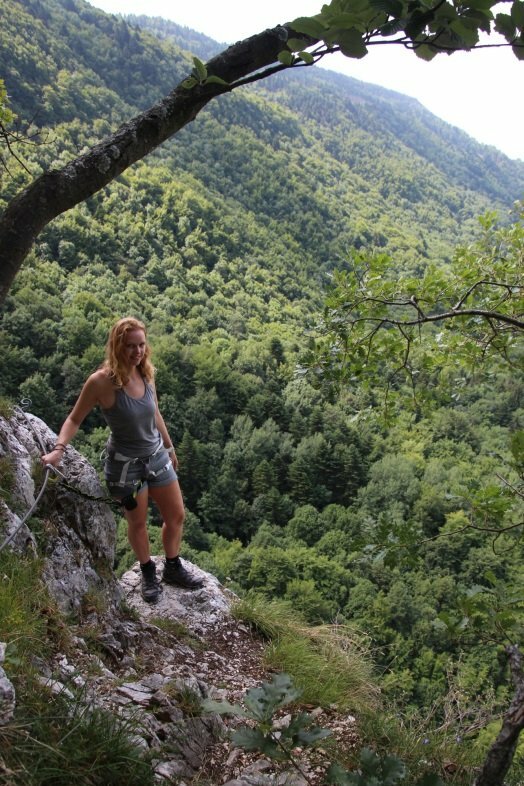 And you will climb about 150 meters higher grounds. 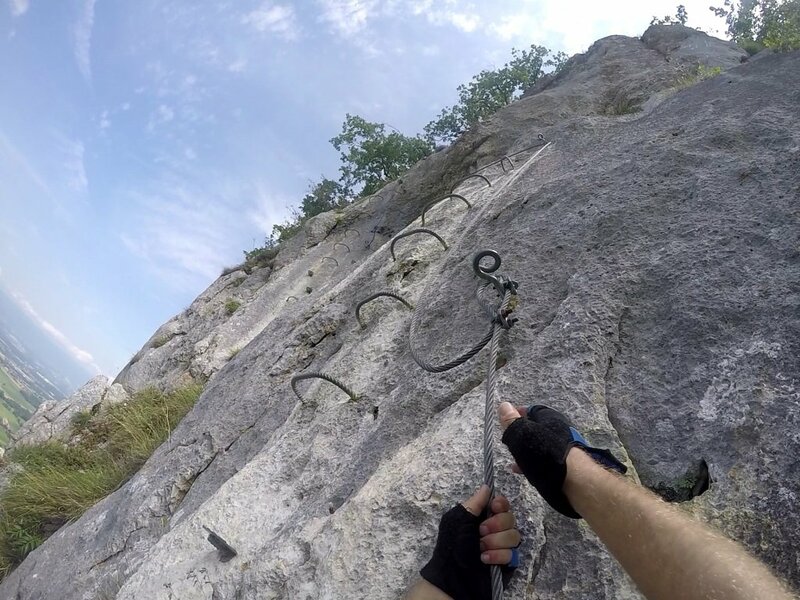 The via ferrata started slowly with a cabled path along the foot of the white rock wall. Trough the woods you can already see a beautiful view. Soon the steps began and Timo and I climbed up on the wall. It was really steep, but we were well secured. The steps were set up like a stair, sometimes wide apart, sometimes easy, but also with some difficult parts. The last bit was really difficult, it had a slightly overhang. Which always freaks me out a little, as you lean back a lot. Soon we stood on the top and had a wonderful view. This via ferrate only took us about 45 minutes. The path which leads back to the car is trough the same forest and a really pleasant walk. 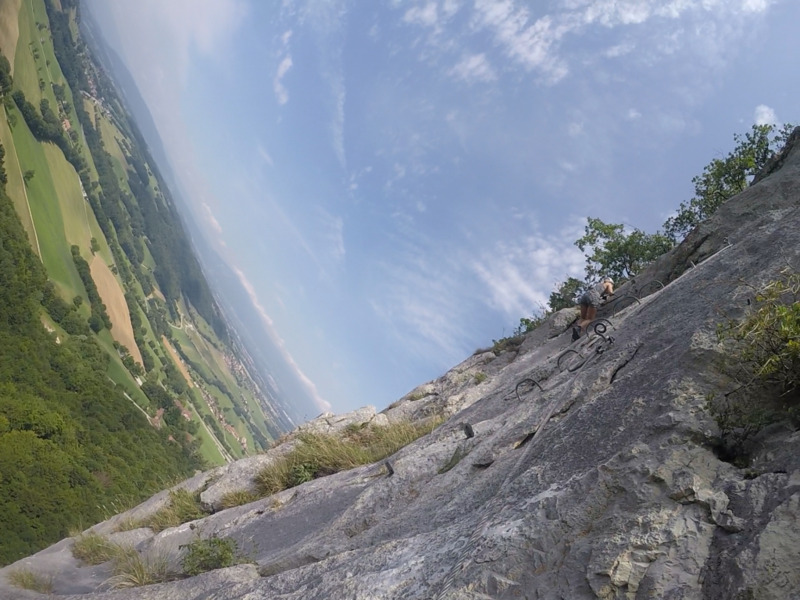 I think this via ferrate was a nice challenge, with a beautiful view! As it was stated as a D (difficult) I think there were a few difficult part, but as a beginner, me and my husband both could manage. There were no other people and with only a short amount of time which you need to climb this wall this made it a really good stop along the way. I really can recommend this via ferrata. 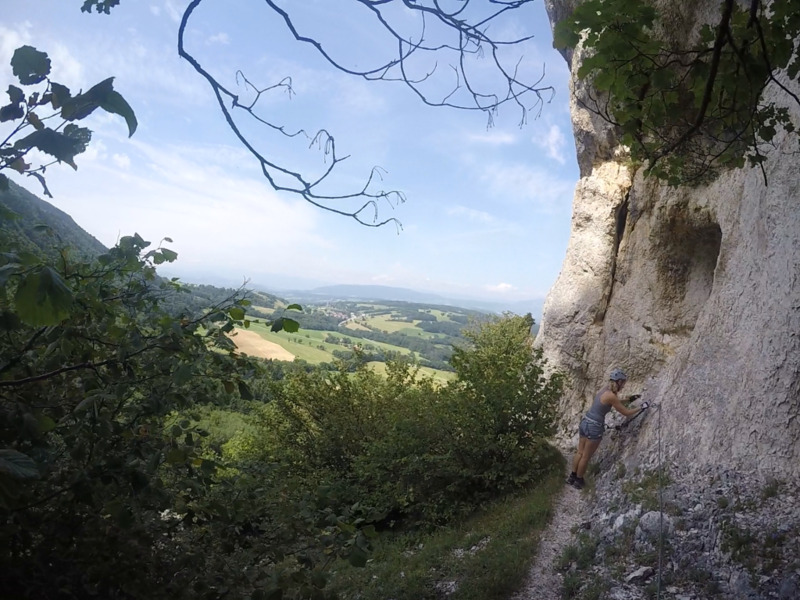 When we finished this via ferrata, it was time to lunch. We ate a simple lunch at the carpark and then moved on to Geneva. 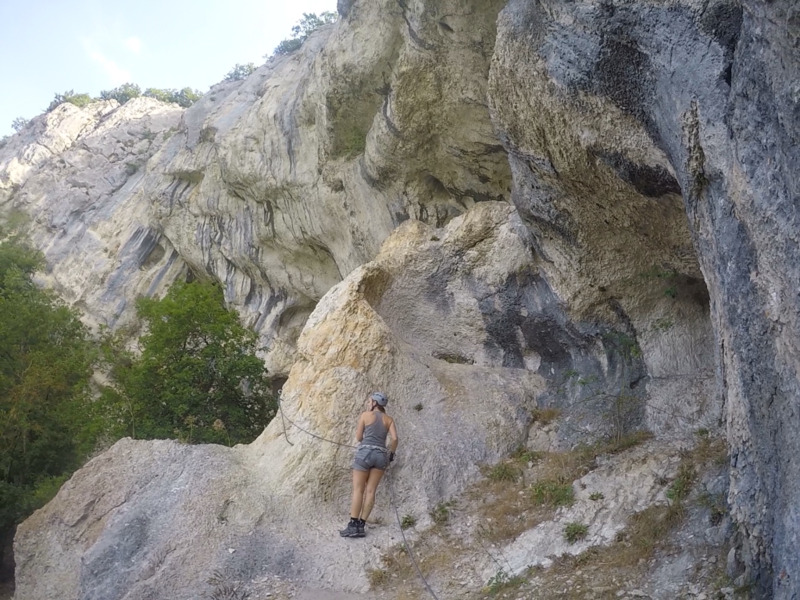 Most of the pictures are screenshots from a GoPro Silver video.